If there’s one thing every millennial knows to be true it’s that the best show to ever grace our television screens was none other than The Hills. And while we loved watching the drama go down between Heidi and Lauren, there was one star that everybody wished they could call their very own BFF: Lo Bosworth. We recently had the opportunity to chat with Lo and not only did she let us peek inside her fridge, she also dropped some pretty juicy details about her favorite and least favorite foods. 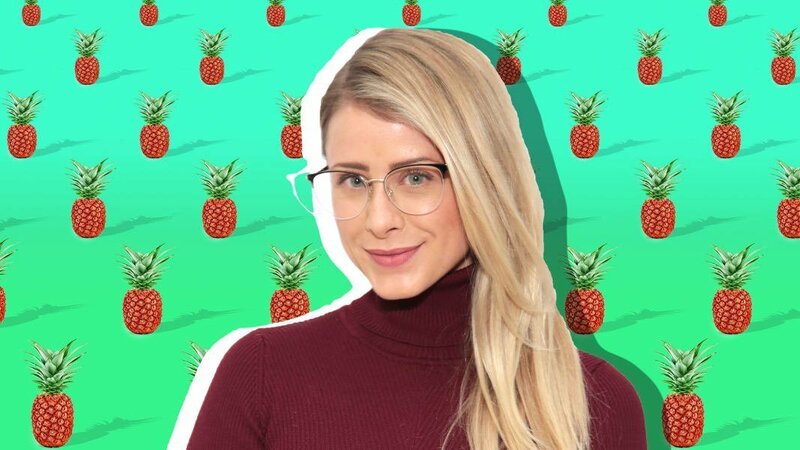 Lo Bosworth: I mostly stick to fresh fruit and vegetables for my fridge. I try not to buy junk food because I’ll eat it all if it’s in my house. I love the farmers market, so I always try to bring home seasonal finds — anything from fresh produce to local organic eggs, and I sometimes even pick up a CSA box. LB: I like to keep tortilla chips in my freezer oddly enough. It keeps them fresh forever. SK: Are there any items that you always make sure to keep in stock? LB: Yes. I love this coconut-almond tea by Paromi. I have it almost every morning. LB: I like to have a little sampler plate of different things. Right now, I love almonds with tart blueberries and a slice of mozzarella cheese. LB: Yes. I love making homemade chicken and vegetable soup. I tend to make the chicken broth from scratch so the flavor of the soup is really rich. If you have great stock on hand, you can put together a really yummy soup in as little as 30 minutes! LB: My mom’s macaroni and cheese. SK: Which country’s cuisine is your favorite and why? LB: I love Italian food — everything is fresh, bright and makes you feel alive! SK: If you could only use one small kitchen appliance (microwave, blender, slow cooker, etc.) for an entire month, which one would you choose? LB: Slow cooker. I prefer a hot meal, and being able to combine everything and leave it all day to develop amazing flavor and depth is something that really appeals to me. LB: Bird’s nest soup in Singapore. It’s made from bird spit, and it actually wasn’t that bad! SK: Would you eat it again? SK: What’s your favorite go-to appetizer for a big crowd? LB: This is a throwback to my childhood, but always love some potato chips with onion dip. SK: What’s your favorite summer cocktail? LB: My favorite summer cocktail right now is a Baileys Almande piña colada. With Baileys Almande, you get to have those fun over-the-top drinks and desserts, but you’re indulging with a light-tasting gluten- and dairy-free treat. I’ll give you the recipe! SK: We recently chatted with your friend Whitney Port, and she told us she has never eaten pasta. We were pretty shocked. Do you have any fun food confessions? LB: I despise peanut butter and jelly sandwiches. I like peanut butter. I like jelly. I hate them together. As promised, here is Bosworth’s recipe for a dairy-free piña colada. After Having Two Children, I Was Done with My Uterus. So I Donated It.